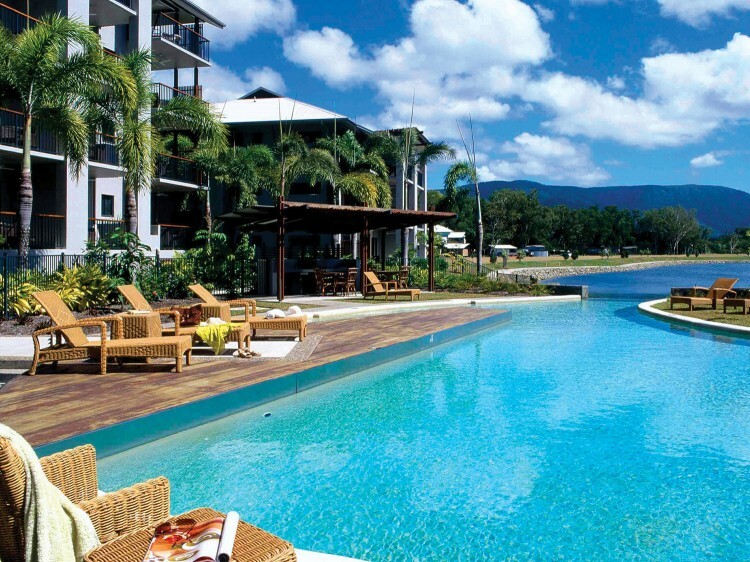 Come and share the experience of this unique 4.5 star lagoon-front resort at Trinity Beach in Far North Queensland. Blue Lagoon's luxurious apartments and units offer something different for visitors to the tropical far north. 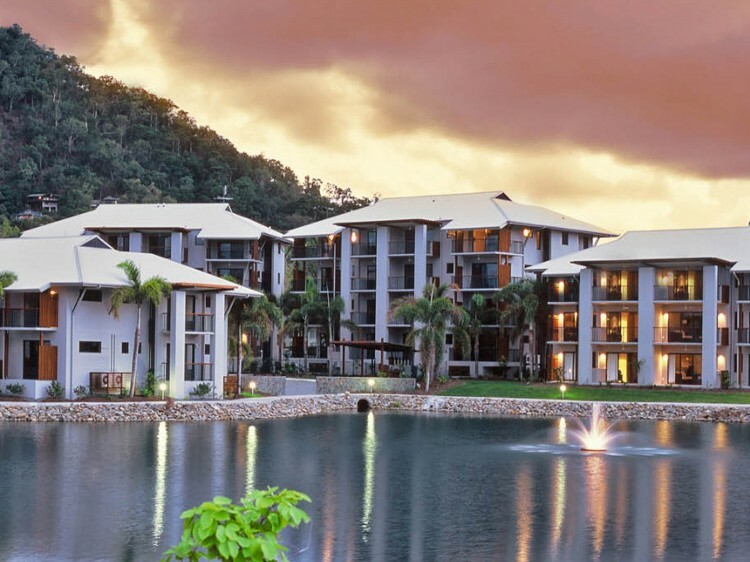 Immerse yourself in this spectacular holiday destination where the mountains and rainforest meet the Great Barrier Reef virtually at your doorstep. Set in 9 individual buildings, Blue Lagoon Resort offers a range of accommodation options to suit all tastes and all budgets. 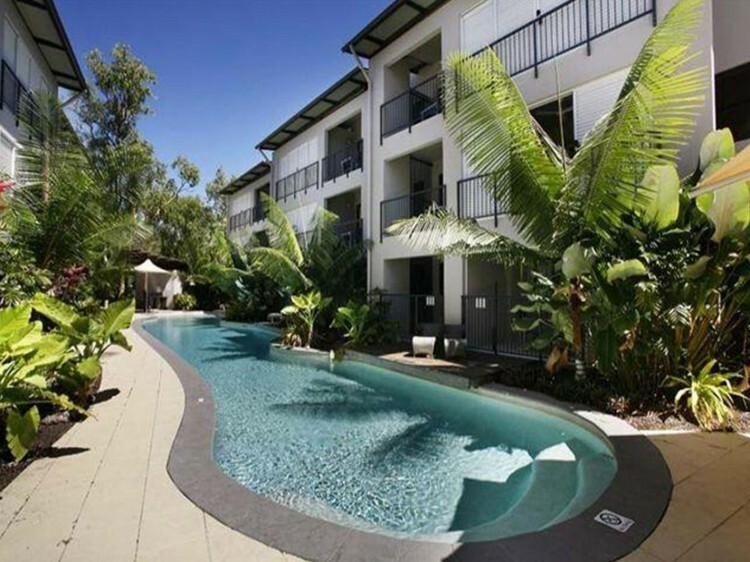 All apartments are fully self-contained, with a variety of features including flat screen LED Tvs, Austar and balconies. Some buildings have lifts while others have stairs only. Blue Lagoon Resort is a tropical dream come true. Take this opportunity to relax and revive. Less than 2 minutes walk to beautiful Trinity Beach with restaurants & cafes on your doorstep. 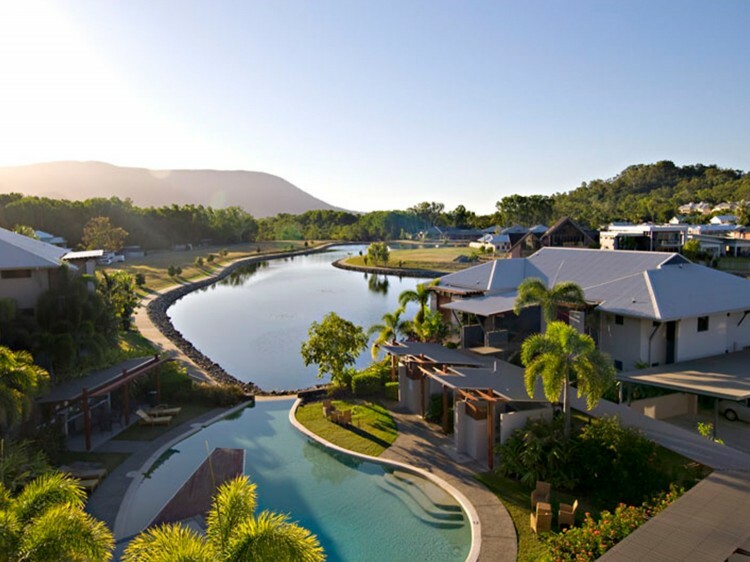 Being less than a kilometre from the main highway, you are ideally placed for your trip to the Daintree, the Tablelands or the Great Barrier Reef. 2 Bedroom and 3 Bedroom apartments are a mix of standard and dual-key designs. Please request at time of booking as dual key may not be suitable for families with small children. Studios, 2 Bedrooms and 3 Bedrooms have either stairs or lift access. 1 Bedrooms are stairs only however a ground floor apartment may be requested. Please note: Blue Lagoon will do all possible to confirm requests however they are not guaranteed. Some apartments may be dual key.